In 2009 I earned my MFA in Metalsmithing from Southern Illinois University-Edwardsville. These galleries showcase the artwork I created during graduate school as well as my thesis exhibition, "Emergence." 'Batesian Mimicry.' Detail. Brooch with stand. 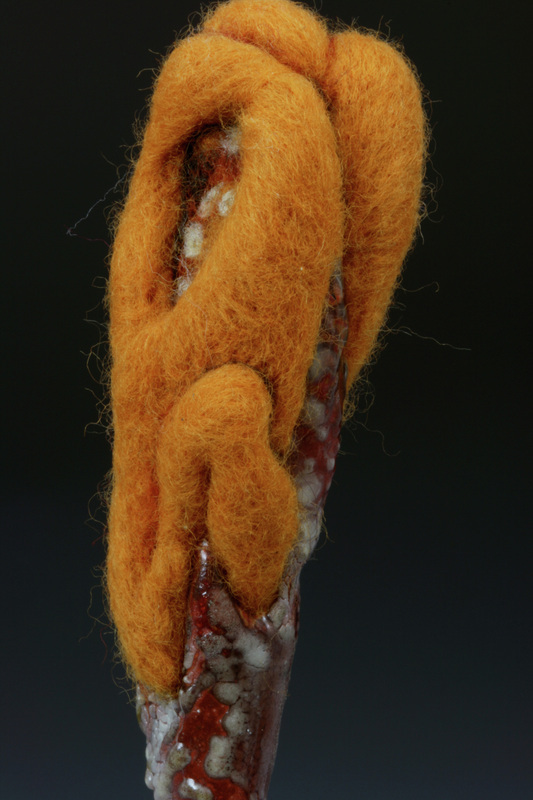 Copper, Steel, Enamel, Wool. 2008. All images and text are © Annie Pennington. All photos are by Annie Pennington unless otherwise specified.